Many corset sites recommend choosing a corset 4-6 inches below your natural waist measurement, but sometimes it’s not quite that easy! The right waist reduction for you depends on several factors, including how compressible you are, what you’ll be using the corset for, and whether you like to wear corsets laced closed or with a gap. The calculator below is NOT perfect, but is meant to be a starting point can help guide you towards an appropriate waist reduction for your first corset. 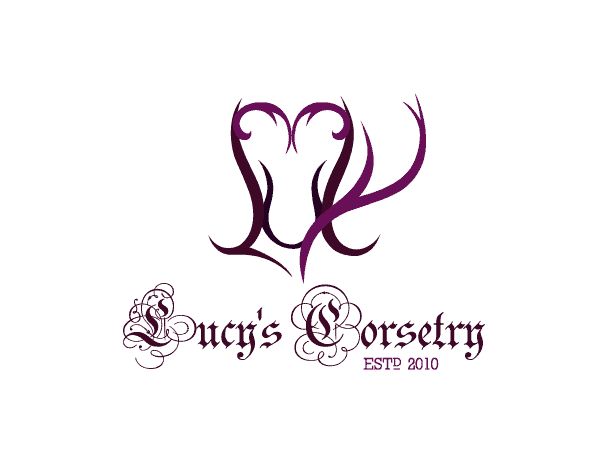 If you’re specifically looking to figure out which corset in our shop will fit your measurements, we have a free mini-consultation service – just fill out the contact form on this page and Lucy will personally respond with her recommendations (usually within 36 hours). Try the calculator and let us know if it worked for you in a comment below! My size seems way too small! The most common reason for this is because you chose “intend to lose weight” and also “I prefer a lacing gap”. The calculator sizes you down if you’re actively losing weight (so you don’t “shrink out” of your corset too quickly), but also sizes you down if you ask for a gap – meaning it’s now about 4 inches smaller than what you would wear currently. If you’re losing weight, your smaller corset will give you a gap anyway – so don’t ask for a lacing gap in the back! My size is the same or bigger than my natural waist! The most common reason for this is because you’re petite and firm, on a weight-gain trend, and you just want a corset for fun casual wear. Choose a lacing gap in the back which will size you down, or place your weight as steady for the time being. It gave me an “odd” size corset! Should I size up or down? There’s an extra question below your corset size that corrects for that! Scroll up and choose your experience level, and it will give you an “even” size corset! Thanks for trying the sizing calculator! Did it work for you? Leave a comment below! Hello! I’m looking to try a corset for both fashion and posture reasons – my posture has always been pretty bad and I’m looking to correct it, and who wouldn’t want to shrink down the belly pooch on occasion! However, there are so many styles. I’m not really interested in waist training as I’m fairly hourglassy already. 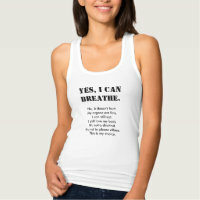 I’m also pretty short, about 5’2″ with a torso measurement of 9-10inches depending on whether I’m standing or sitting. I’m looking for something to go under clothing right now. Any recommendations for a starter corset? Hi Katie, I would be able to help you more accurately if I know your body measurements (if you’re comfortable sharing). Knowing your proportions in inches or cm will help me ensure that I recommend something that will allow you to move and sit down comfortably in this corset, and give you support while not pinching your ribs or hips. I have a measuring tutorial and contact form on this page (this service is free). Hi Lucy! I contacted you via your YouTube video on “Corsetry and Skeletal Deformities” and explained how after an auto accident in which my Thorasic spine suffered compression fractures at T5-7 and I wanted to start wearing a corset but was told by some nurses I worked with that corsets cause more harm than good. You told me that was not true and told me to consult with my dr about wearing a corset. I did that today. He has no problem and said it would benefit me. I also told you because of the location of the fractures how wearing a bra is very uncomfortable. You told me if I got my doctors okay you would help me. O…K…HELP. I have (maybe) some experience in wearing a corset, sort of. I have worn a spandex bone in (plastic i’m sure) type of undergarment that goes from my upper back down to my hips. It is underbust and closes with only hooks and eyes in the front. If you could please email me with your recommendations I would greatly appreciate it. I have never worn a standard corset like you and consider myself a complete novice. I am faithful follower of your videos and have even used your sizing calculator. I trust you to get me started. I have also watched your complete “Seasoning” series. Books, phone, email, IM, I just need your help in choosing and getting started. Hi Deborah, thanks so much for getting back to me. I’m glad that your doctor has given you the green light! If you’d like a personal size recommendation from me, here’s my measuring tutorial and contact form, it’s completely confidential and I usually get back with my suggestions within a day. Talk to you soon! I think I might have ordered a corset too large for me but I was worried it wouldn’t fit me, I want to believe that the calculations are correct but I wear a 26. Hi Pamela, where did you purchase your corset from and which style did you choose? (I don’t have any record of your name or email address in my past shop orders so I’m guessing you went with a different brand. This is fine, it’s just more difficult to help you.) Finding your most appropriate starting waist reduction is just the first step; did you also remember to check whether the ribs and hips of the corset you purchased were compatible with your own? I want to try an overbust corset but I don’t know where to start from because I have a quite large bra size (34k in American sizeing) any ideas ? Hi Angel, I have a gallery specifically for overbust corsets designed to fit people with a fuller bust. :) Click through on any of the pictures in the gallery to go to that specific corsetiere’s website, where you can learn more about their corsets, speak to them, and start an order. Where did the calculator go? Hi Natasha, it looks like the plugin software updated, and it might not be compatible with something else on my website. I will troubleshoot it and try to get it up and running again. June 25, still gone. Looking forward to revisiting your wonderful calculator again, since it looks like my trainer will be closing soon. Thanks for sharing your wealth of knowledge, Lucy! I have both moderate scoliosis and kyphosis (hunchback) and I think had both from adolescence… I was also very heavy most of my life so it went undiscovered until late into adulthood. Now in my early 60’s I finally decided i wanted to do all I can to look more normal and maybe even a little attractive, so lost a lot of weight with more to go. Because of the scoliosis (I do not have osteoporosis) the gap between the the top of my pelvis and my ribcage on the side is very small.. I can only get one finger in (though it can go quite deep). I also have very big rib cage and not much in the way of hips, so really no real figure. I spoke to an orthopedist about corsets and waist training, and although they don’t recommend using them (worried about muscle atrophy) he said I could do use one as long as I exercised enough without one. But I don’t know how much he knows about corsetry. Given my physical issues (particularly the lack of space between pelvis and rib cage) I don’t know if significant waist training would be possible for me, even if a corset can deal with the back issues..
Hi Karen, thanks for your comment. There are a few articles that can give you more information about wearing corsets or waist training while having some asymmetries. Here’s a video on bodily asymmetries in general, and here’s a case study of someone with scoliosis, kyphosis and rotated ribcage who was able to correct part of his curve using corsets and exercise. I also have a gallery of corsetieres who specialize in making custom asymmetric corsets, which is the best course of action – but because it is custom, it is quite expensive (unless you can get it covered by insurance). Some people with a moderate curve are able to use an OTR corset, taking advantage of hip ties for instance. A corset with a very rounded ribcage that nips in at the waistline may be able to target that narrow area between your ribcage and your pelvis. Thank you very much for the reply and the links! I really appreciate it. I guess the biggest question I have is if waist training is possible for me with the small gap I have between my ribcage and pelvis because of the scoliosis, but its not something you can answer. I guess I would need an in-person consult with a custom maker who can handle spine issues to know if waist training could work for me. When you say such a custom corset would be expensive, can you give me rough idea of what the cost range could be? I am in the middle of my own personal renovation project… I am still losing weight and I am starting physical therapy this week to help with my back issues. When those are done I hope to be able to get a corset to help me look good for my “golden years” … better late than never! Hi Karen, I do know of people with scoliosis who have been able to train their waists effectively, even with the small gap between their ribcage and pelvis – but because everyone’s curve is a little bit different, it wouldn’t be fair to make a guarantee. Some people achieve a more narrow look to their waist by training the ribcage itself to taper inwards at the bottom, but this requires a lot of dedication! The cost varies quite a bit based on which person you’re interested in working with. Some of the corset makers have a simple underbust design that starts around $400 while others are well over $1000. And asymmetric designs usually have an added cost. But compared to the hot bulky back braces (which are often around $3000+), the corsets can work out to be a more lightweight AND more budget-friendly option if you’re not covered under any insurance. Glad to hear waist training might be possible despite my issues… for me I think it would have to train my ribcage so it will be a slow process. The closest “medical” corset maker to me on your map is in Toronto. That is about an 11 hour drive for me (I would want in-person measurements!) … Doable though I guess these days I would need a passport! You have given all the information I need to get started… Now i just need to finish losing the weight! I am a male, and not sure about the right sizing for me. I want to shape my waist line and use it for support for my back as I sit operating a bus. Hi Norm, feel free to send me your measurements using the contact form on this page. I will email you back with my recommendations. Is there such a thing as a corset that is made to help support a heavy bust? I have a pinched nerve in my shoulder that is irritated by bra straps, but I’m a 34G, so regular strapless bras don’t support. Any suggestions would be greatly appreciated. Hi Jennifer, yes I know multiple people who wear overbust corsets to minimize the the symptoms of their thoracic outlet syndrome! Here is a gallery of corset makers who specialize in creating overbust corsets for people with large or heavy busts. Click through the pictures to be redirected to that maker’s shop or website where you can learn more, message them with questions, or make a purchase. It showed the size I already have, which works for me. I bought the size 30 on your site and its working great! I am now 62 years old and have gained 20 or more lbs and it is all in my stomach and back. when I was 40 I had liposuction and the Dr. told me if I gained weight it wouldnt’t come back in my stomach but it did :(. I’m in a size 10 jeans and if I lose weight it will be all in my legs which I don’t need to lose. breast size is 36d which is all fat. I would like to get my waist down for the summer…please help me!!!! Close enough – It recommends a 20 for me though I wear a 22 (off-the-rack). I’ve been waist training for several years and could probably go with a 20″ (seven inch reduction)if my rib spring wasn’t quite so large. Works perfectly. It matches what I usually wear. Works great gave me size 20 which is the same size of the corset I currently have. Good to know the size is perfect. You are a genius. Ok, we knew that but you are just a goddess too! I am cross posting this to EVERYWHERE! This works great! Thanks for the work Lucy! I was recommended a 36 if I wanted a gap, or a 38 if I wanted no gap, which is spot on with most of what I have. I do have ones as small as 32, but I can only wear them a short time or with a large gap (like 5 inches yikes), so I’ve shelved them for now. I do still watch the underbust and hip measurements since my pear shape means either lacing with a /\ shape or skipping most OTR/sample sizes. Love the tool, it came out perfect for my and my corsets! Gave me a 42 which is spot on for where I am weight and size wise right now! 22 inch waist to an 18 inch that seems about right, i’d love to find a more dramatic look as my ribs are awfully close to my hip bones, leaving little space for the desired curved look. the corset i currently have is an 18, i havent laced it closed yet, so i’ll keep working on that and hopefully i’ll get my desired results! Thank you Lucy! Just playing around with it! It looks like it will be a great tool for beginners. Leave it to Lucy to come up with this. Awesome! This seems accurate for a recommended waist size. I typically wear a 30 to 34 inch corset. Anything less than 32 inches currently has to be worn with a gap, and it recommended a 32 inch corset. I agree, I have a small rib spring, but massive hip spring. The corset calculator where you can fill in your sizes was immensely helpful for me to find the right fitting corsets and to finally made me understand my shape. I have a few months experience tightlacing and the calculator worked perfectly for me. I already know I can comfortably cinch to 26 for extended periods of time which was the recommended size in the calculator before I stated I prefer a small gap. The most I can reduce is to 25″ for a few hours at a time so the calculator’s readjusted measurement of 24″ is exactly right for me! Thanks for making this calculator! It will be very helpful for a lot of people. I have a natural 31″ waist. The tool recommended a 25″ corset. I currently wear a 23″ corset, but only because I’m an experienced wearer. This is so cool Lucy!!! You’re amazing!!! I have corsetting experience & the calculator worked perfect!! !